HART is delighted to welcome Dr Noora Ronkainen as a new research associate. Noora is a postdoctoral researcher at Liverpool John Moores University. Her research draws mainly on existential and narrative psychology in studying athletes’ and coaches’ career development, identity in sport, and spirituality. 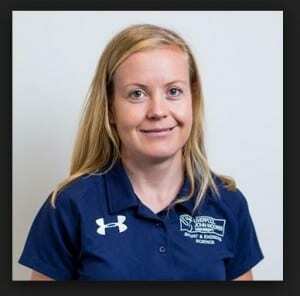 In 2019 Noora is due to commence a new funded research project at the University of Jyväskylä, examining learning in sport from an existential-phenomenological perspective. The project has been developed in close collaboration with Prof Jacquelyn Allen-Collinson, and we look forward to welcoming Noora on her visits to HART. This entry was posted in Collaboration, Members, Phenomenology, Research, Sport and tagged Athletes, Coaches, HART, HART associates, Jacquelyn Allen-Collinson, Noora Ronkainen, phenomenology, Sport by Prof Jacquelyn Allen-Collinson. Bookmark the permalink.